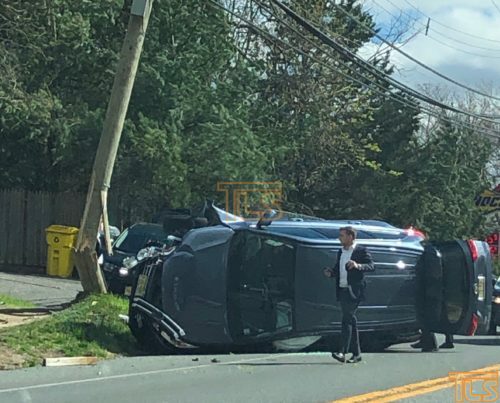 Accident has left a vehicle overturned on Route 9 in Lakewood, taking out a pole in the process. The accident occurred around 3:30 PM at the intersection of River Avenue and High Street. People were trapped in the vehicle, and are being extricated. Extent of injuries were not immediately available. Route 9 has been shut in both directions. 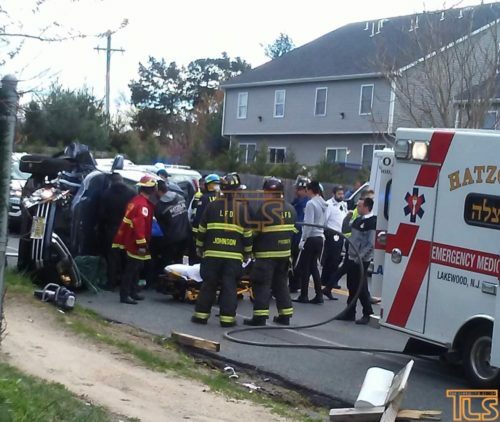 There are 12 Comments to "Vehicle flips, takes out pole on Rt. 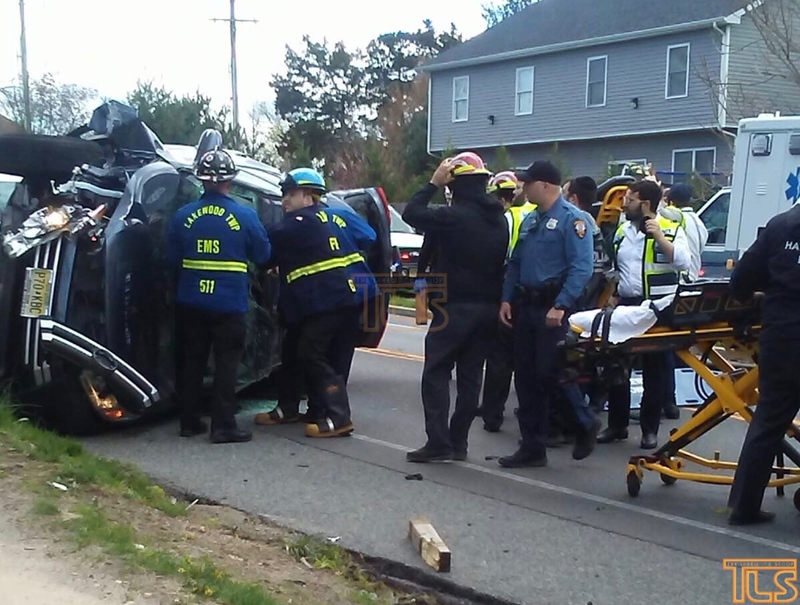 9 in Lakewood; Route 9 shut in both directions (VIDEO & PHOTOS)"
Any updates? Is everyone ok? I was at that area at 8:30ish and its blocked off coming toward town there is a detour thru Oak street since they are fixing the pole that fell. Yes obviously the tornado winds flipped that SUV. Seriously??? I must ask, was that the only SUV on the road? Oh yeah and it was 12 hours after the tornado watch. Must have definitely been the tornado winds. Unbelievable, I guess we must always have an excuse for poor driving habits. Ridiculous. Blame blame blame. Why is it that vehicles always “flip” in this town. One day, there were three. I don’t see this happening anywhere else. I hope everyone is OK.
My neighbor witnessed the car flipping. She said it flipped from the strong wind! So let’s not jump to judge others. I agree everyone should slow down, but if u had been in the car that flipped from the wind, I don’t think I’d appreciate ppls publicly jumping to conclusions. 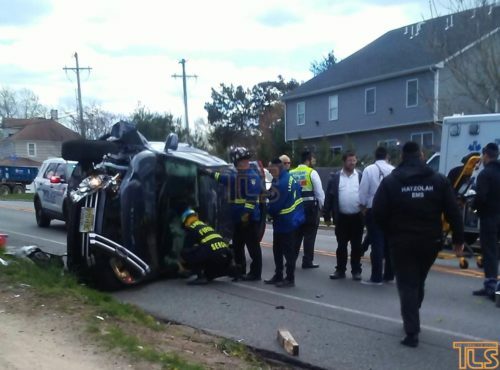 May the hidden in the accident have a refuah shelaima bekarov.